I want to try to watch all these films within the year 2018. Some will be re-watches. Some of which I already know I do not like... but will watch again anyway. Wish me luck... I should be able to do this all within a year...though many of them are not in my collection as of yet. I will be watching these in no certain order... just as the mood hits. While a bit longer then I am used to... I found this to be a good story. It was able to keep my interest easily. 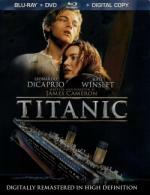 I was never much of a fan of Leonardo DiCaprio... but I found him to be good in this one. Worth while if you ever feel up to a longer film. 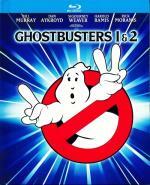 The classic supernatural comedies that defined a generation: Ghostbusters and Ghostbusters 2, together in this special collector's edition Blu-ray™ set. Celebrate 30 years of the Ghostbusters franchise with remastered high-def picture & sound for both movies, plus all-new and never-before-seen special features. Plus, explore the history of the films with this deluxe collector’s edition, loaded with production notes, character sketches, insider info and more. Bring home these spooktacularly successful films that captured the imagination of audiences around the world—and redefined the action-comedy genre in the process. Who you gonna call? One of my all time favorite movies. It is a true '80s classic. This movie is full of fun and laughs. I thought everyone did a very good job in this one. Granted some of the effects didn't hold up that well over the years. And even from the first time I watched it I thought the whole Say Puft Marshmellow Man thing was a little to far on the silly side. But over all it holds up well and I really did enjoy watching it again. This is one I haven't seen in many years. While I still enjoyed this one... I remember liking it more back in the day. Maybe it is just my tastes changing as I get older. 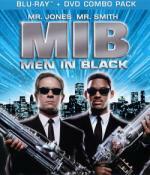 But I thought I remembered this one being funnier and more action packed. It has a few laughs in it... but no real action. It is more so a pure comedy. Years ago when this film first came out on DVD I tried to watch this one... and just couldn't get into it. I think it was mostly do to me just not being in the mood to watch such an epic film. Not knowing what I was getting myself into at that time. On this viewing I felt completely different. I really got into the characters and the story line. I can't to continue watching the films. Though I will be watching with my roommates so have to wait for times we can all watch them together. Definitely films I recommend. Well worth the time put in to watch it. Nominated for six Academy Awards®* including Best Picture, this critically acclaimed film remains the #1 thriller of all time. Bruce Willis, in an outstanding and restrained performance, is Dr. Malcolm Crowe, a distinguished child psychologist haunted by his failure to help a former patient. When he meets Cole Sear (Haley Joel Osment), a frightened, confused eight-year-old haunted by a profound secret, they begin a suspense-filled journey of discovery. 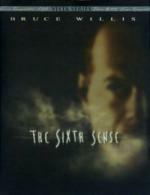 With a riveting intensity you'll find thoroughly chilling and utterly unforgettable, the revelation of Cole's incredible sixth sense leads them both to mysterious and unforeseeable consequences in this powerful supernatural thriller. Collectible 'The Sixth Sense' Storyboard Sequence. I was a little concerned about watching this one after already knowing the twist. Whether or not it would hold up. But there was no problem. The story still kept my attention with ease. The atmosphere was still great. And I really liked the cast. I was worried for nothing as this is a film that is , in my opinion, good even for multiple viewings. 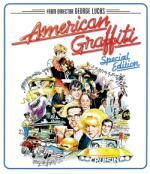 From director George Lucas (Star Wars) and producer Francis Ford Coppola (The Godfather), American Graffiti is a classic coming-of-age story set against the 1960s backdrop of hot rods, drive-ins and rock n' roll. Starring Ron Howard, Richard Dreyfuss, Harrison Ford, Cindy Williams, Mackenzie Phillips and Suzanne Somers in their breakout roles, this nostalgic look back follows a group of teenagers as they cruise the streets on their last summer night before college. Nominated for five Academy Awards®, including Best Picture and Best Director, American Graffiti features the howling sounds of Wolfman Jack and an unforgettable soundtrack with songs by Buddy Holly, Chuck Berry, The Beach Boys and Bill Haley & His Comets. My first time seeing this film. And I must say I enjoyed it. There is no denying how closely this film resembles the TV series Happy Days. Right down to Mel's Drive In, Even has Ron Howard who plays a very similar character as he does in Happy Days. Ron Howard isn't the only familiar face from sitcoms. This movie also has Cindy Williams (Laverne & Shirley) and a very young Mackenzie Phillips (One Day at a Time). I almost didn't recognize her. As I said... enjoyed the film. Had fun watching it, though I do wonder how much re-watch-ability it has. Guess I will find out the next time I decide to watch it. 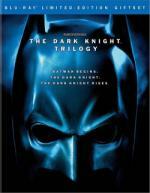 The follow-up to Batman Begins, The Dark Knight reunites director Christopher Nolan and star Christian Bale, who reprises the role of Batman/Bruce Wayne in his continuing war on crime. With the help of Lt Jim Gordon (Gary Oldman) and District Attorney Harvey Dent (Aaron Eckhart), Batman sets out to destroy organized crime in Gotham for good. The trio proves effective. But soon the three find themselves prey to a rising criminal mastermind known as The Joker (Heath Ledger), who thrusts Gotham into anarchy and forces Batman closer to crossing the fine line between hero and vigilante. I found this to be a very good continuation to Batman Begins. While it is also a film that is a bit on the long side, it didn't feel like it as the time flew by. Before you knew it the film was over. I like the way they did Joker in this one and think Heath Ledger did a great job with the character. Liked the entire cast. Think the visuals were great. Definitely recommended. While still worth watching, this one I feel was the worst of the Dark Knight trilogy. While the story line was interesting, it wasn't quite as good as the previous films. I thought the way they did Bane was odd and wasn't too thrilled with Cat Woman either. 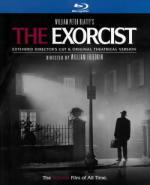 If by chance you never seen this one...it is worth the time put in to watch it but don't go in expecting too much. 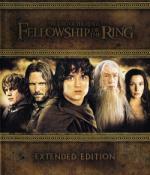 The Fellowship has divided and now find themselves taking different paths to defeating Sauron and his allies. Their destinies now lie at two towers – Orthanc Tower in Isengard, where the corrupted wizard Saruman waits and Sauron's fortress at Barad-dûr, deep within the dark lands of Mordor. This one does an excellent job of continuing the storyline. I enjoyed it just as much as the first... the cast was great... the storyline was great... the battle scenes were fantastic. 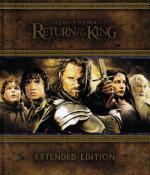 I don't know what more to say other then I amlooking forward to revisiting the final installment. As Gandalf desperately tries to move the broken forces of Gondor to act, Théoden unites the warriors of Rohan to join in the fight. Even in their courage and passionate loyalty, the forces of men – with Éowyn and Merry hidden among them – are no match against the swarming legions of enemies raining down on the kingdom. With each victory comes great sacrifice. Despite their great losses, The Fellowship charges forward in the greatest battle of their lifetime, united in their singular goal to give Frodo a chance to complete his quest. Traveling across treacherous enemy lands, Frodo must rely increasingly on Sam and Gollum as The Ring continues to test his allegiance and, ultimately, his soul. I found this to be an excellent conclusion of the trilogy. Action-packed and visuals are outstanding. 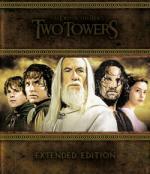 I found the entire trilogy to have great re-watch value. Definitely one I highly recommend. Prepare to take off on a nonstop, edge-of-your-seat thrill ride with four suspense-filled adventures in Airport: The Complete Collection. The quest begins with the original Airport, nominated for 10 Academy Awards including Best Picture, which launched the popular 1970s disaster film genre and became a box office smash. In Airport 1975, a mid-air collision leaves a 747 without a pilot and little hope for survival. The tension continues in Airport '77 when a 747 is trapped underwater in the Bermuda Triangle and it's a race against time to save the passengers and crew. In The Concorde: Airport '79, at twice the speed of sound, the Concorde must evade a vicious attack by a traitorous arms smuggler. 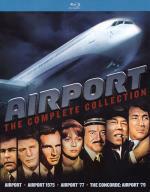 Featuring all-star ensemble casts that includes Charlton Heston, Burt Lancaster, James Stewart, Jack Lemmon, Lee Grant, Jacqueline Bisset, Dean Martin, George Kennedy and many more, Airport: The Complete Collection will leave you on edge from takeoff to dramatic landing. I grew up hearing about this movie. So been wanting to see it for years. I am so glad I finally got the chance to do so. First going into it I found the movie to be very slow. This is something that normally bothers me... but in this case it is needed. The film needed time to get you familiar with the characters and set up what is happening. The one thing that really did bother me here is all the use of split screen and such used every time someone was on the phone or radio. This is something I never liked. It pulls me out of the story. The people on screen can't see the person they are talking to.... why should we? It just does not feel realistic so when they did this every time it was just too much for me. That being said, I loved the film itself. It has a great story line and some big names in the cast. I especially liked Dean Martin here. This is not the type of film I think of when I think of him. And I felt he did a great job. If you never seen this one before I definitely recommend it. High-definition Blu-ray hits greater heights with the arrival of the visual splendor, thundering action and towering drama of this record-setting winner of 11 Academy Awards® including Best Picture*. 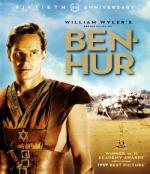 Charlton Heston brings a physical and moral presence to his Best Actor Oscar®-winning role of Judah Ben-Hur, a Jewish nobleman in Palestine whose heroic odyssey includes enslavement by the Romans, vengeance against his tormentors during a furious arena chariot race and fateful encounters with Jesus Christ. Best Director Oscar® winner William Wyler masterfully grips the reins of an enduring and spellbinding spectacular. *Other 1959 Awards: Best Supporting Actor (Hugh Griffith), Color Art Direction/Set Decoration, Color Cinematography, Color Costume Design, Film Editing, Score, Sound and Special Effects. Years ago when I was a teen they showed a portion of this (the chariot race) in class in high school. Every since then I wan't to see the entire film. And now... more years later then I wish to admit to... I finally got to see the entire epic film. A true classic if there ever was one. Yes, such a long film, but it doesn't feel like it when you watch. The time went by so fast! The acting is great, the visuals are fantastic and the story will bring out multiple emotions through-out. If there was one thing I would change here it would be a little more action. Not much more mind you... but I think just a touch more would have been beneficial. But over-all recommended as a must see!